As Kennels von Lotta points out, German shepherd puppies require a secure home and place in which they can nest. This place needs to be a space where humans and other dogs do not trespass. While German shepherds require socialization with other dogs, no dog should be allowed to bully a German shepherd puppy. Because German shepherds are pack animals, they need leaders. 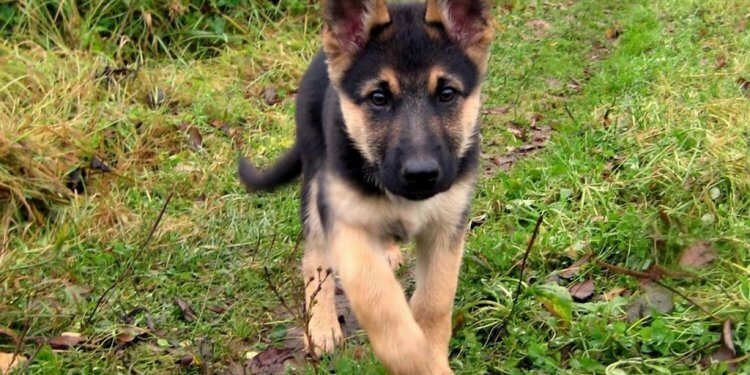 Even before obedience training begins, a German shepherd puppy can be trained to heel and to let its humans precede it through doors. These small steps help the puppy learn to respect humans and ultimately help keep it from becoming too aggressive. Even when establishing a human as the puppy's "alpha, " no physical punishment should be used in training. Any physical punishment creates fear in the dog and is likely to lead to physical aggression on its part later. Obedience training is crucial for German shepherds because they are so smart. German shepherd puppies can begin formal training at about eight weeks. Once they are trained, German shepherds have a greater sense of how their world works and their place in it.